l.-r.: Nicolas Botttger, OSTA-AECO Chief Executive Officer and CBC Past President, Patrick Daly, OCSTA President, His Eminence Cardinal Collins, and Ben Smith, CBC President. At the recent Fall General Meeting of the Ontario Student Trustees’ Association (OSTA-AECO), OCSTA President, Patrick Daly, was invited to lead a workshop on Education Finance for student trustees from all four of Ontario’s publicly funded school systems. 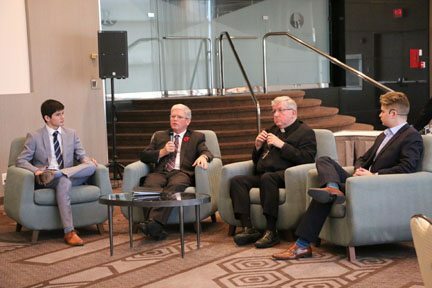 President Daly also joined His Eminence, Cardinal Collins, Student Trustee and OSTA-AECO Catholic Board Council President, Ben Smith, and OSTA-AECO’s Chief Executive Officer Nicolas Bottger in a panel discussion on Catholic education. 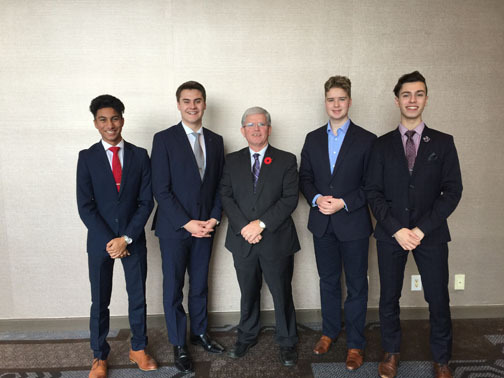 The sessions were well received by student trustees and all delegates welcomed the opportunity to meet the president of Ontario’s Catholic School Trustees’ Association. 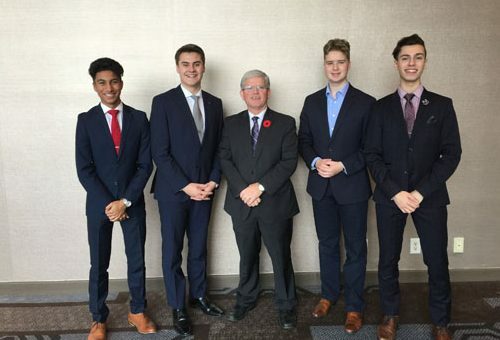 OCSTA President Pat Daly with CBC President, Ben Smith and student trustee representatives from Catholic and Public school boards. 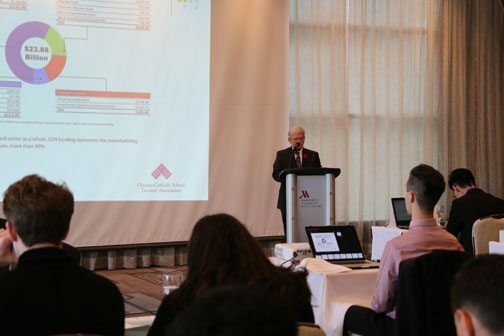 Pat Daly leading the workshop for student trustees on the topic “Understanding Education Finance”. 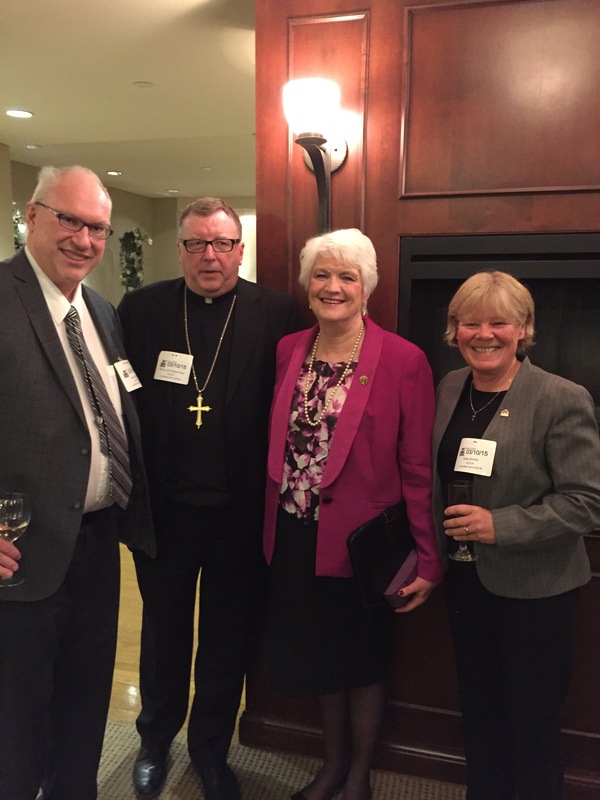 The annual OCSTA Catholic Trustees Seminar happens January 19-20 at the Hilton Mississauga/Meadowvale Hotel (6750 Mississauga Rd., Mississauga). 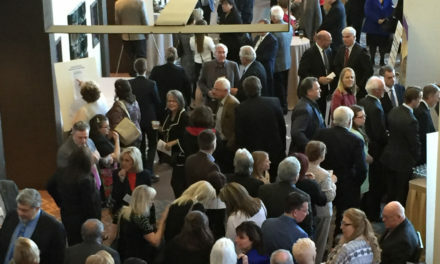 The theme of this year’s Seminar is “Advancing the Catholic Education Agenda” and the program includes topics and presentations designed to support Catholic trustees in their efforts to advance at the local level the priorities and goals of publicly funded Catholic education today. Political Panel Discussion – “Ontario’s Education Priorities” featuring: Minister of Education, The Hon. Mitzie Hunter; PC Education Critic, MPP Lorne Coe, and; NDP Education Critic, MPP Peggy Sattler. Panel faciliated by OCSTA President, Patrick Daly. 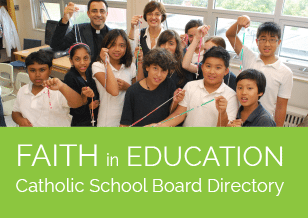 Trustee Panel – “Walking the Fine Line: Defining and Managing Catholic School Board and Constituency Responsibilities” featuring: Niagara CDSB Trustee, Kathy Burtnik; Sudbury CDSB Trustee, Michael Bellmore, and Toronto CDSB Trustee, Ann Andrachuk. Panel facilitated by OCSTA Vice President, Beverley Eckensweiler (Chair, Bruce-Grey CDSB). Trustee Panel – “How the Home-School-Parish Triad contributes to Student Achievement in Catholic Schools” featuring: Peterborough VNC CDSB Chair, Michelle Griepsma; Halton CDSB Trustee, Arlene Iantomasi, and York CDSB Chair, Carol Cotton. Panel facilitated by OCSTA Executive Director, Nick Milanetti. Mental Health Discussion Panel (TBA) facilitated by Dr. Patrick Carney, Psychologist & Mental Health Lead, Simcoe Muskoka CDSB. The Legislative Assembly of Ontario is adjourned for a constituency week and returns on November 14. The assembly will adjourn for theWinter Recess on December 14, 2017. On November 1, the government introduced bill 174 the Cannabis, Smoke-Free Ontario and Road Safety Statute Law Amendment Act, 2017 (“bill 174) for first reading. This proposed set of legislative amendments follows through on the government’s intention to legalize and regulate the recreational use of cannabis. 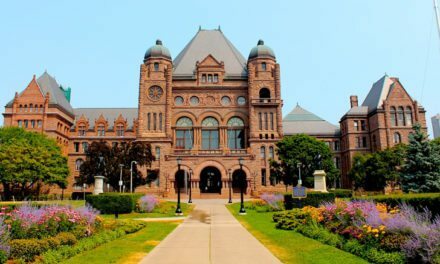 The proposed legislation would create a new provincial retailer, overseen by the Liquor Control Board of Ontario (LCBO). Under the proposed approach, approximately 150 standalone stores will be opened by 2020, including 40 stores by July 2018 and rising to 80 by July 2019. Online distribution will also be available to service all regions of the province. The LCBO will be engaging with municipalities to discuss the process for siting stores. Updates are available at: lcbocannabisupdates.com. 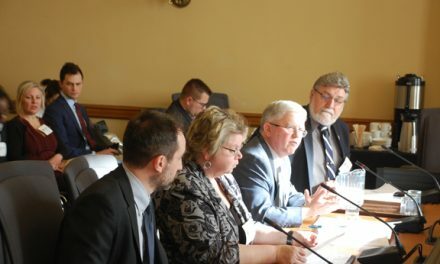 Bill 174 also repeals the Smoke-Free Ontario Act and the Electronic Cigarettes Act, 2015 and replaces them with the Smoke-Free Ontario Act, 2017 (Schedule 3), and makes amendments to the Highway Traffic Act regarding driving with alcohol or drugs present in the body and other matters (Schedule 4). The province recently made changes allowing police to immediately remove drivers from the road who they believe are impaired by drugs, including cannabis. The enhancements will be in place for September 2018. 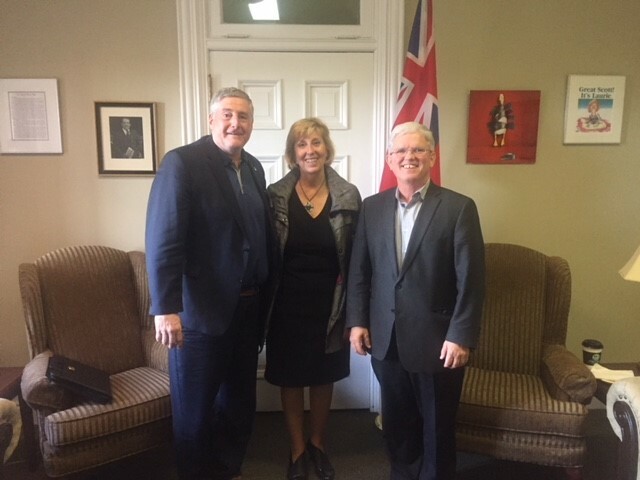 OCSTA President, Patrick Daly and Executive Director, Nick Milanetti recently met with Haliburton-Kawartha Lakes-Brock MPP Laurie Scott to commend her on the important leadership she has provided with respect to the introduction of legislation to address the issue of Human Trafficking. MPP Scott is the PC Critic for Women’s Issues and for Community Safety.